Director Robert Stromberg (Pan’s Labyrinth, The Hunger Games) gives us Maleficent, a cunning re-invigoration of the story of Sleeping Beauty, the tale this time told from a much more modern point of view, with a newfound respect for acknowledging the dualistic nature of personhood. As “Aurora,” Elle Fanning has no idea how to fill the role she’s in with any sort of credibility. The three god-fairies (Lesley Manville, Imelda Staunton, and Juno Temple) are like three really bad attempts at a female Three Stooges tryout, but nearly everything else lines up as moderately impressive. The film’s central strength lies in its star: Angelina Jolie, who can emote so well using just facial expressions without even the need for words. Hers is one of the better performances in recent memory. Her winged cohort is none other than Shalton “District 9” Copley who adds to the project his own flavor. The special effects do not disappoint. 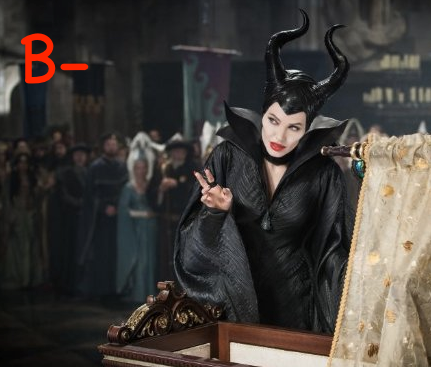 The storytelling skills are really nothing to write home about, but Disney’s Maleficent is a delectable re-invention, which, although unnecessary, deserves credit for getting rid of the implacable innocence of the old Disney era—and for providing several hours of entertainment at the same time.